Building an accurate model for these was a bit tricky. There are very few pictures of actual turretless Stuarts. I could only find a few blurry shots from behind and things like that. 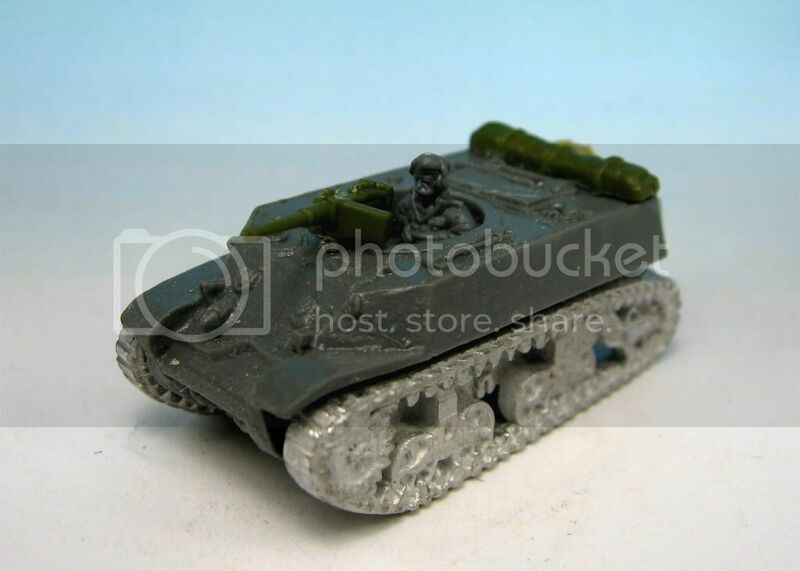 According to R Mark Davies on the Flames of War forum, British Armoured Division would have started with Stuart Vs in Normandy and then would have received Stuart VIs (American M5A1) to replace losses throughout the campaign. As this force represents a Market Garden force and as the 11th. 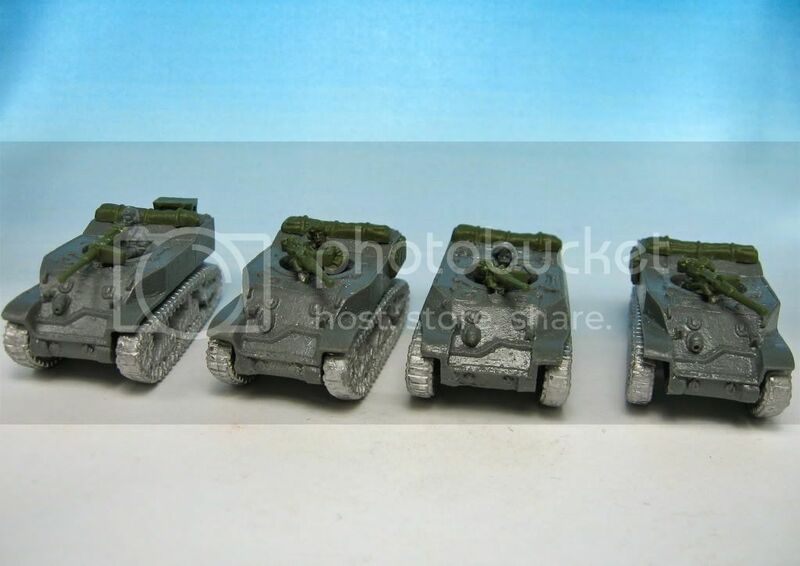 AD had a 300% turn over in tanks I decided to model them with 1 Stuart V and 3 Stuart VIs. You can tell the Stuart VIs as the back of the engine deck is raised (note that the M5A1 is only available as an American model with the .30 calibre machine gun and American crew). Stuart with turret and without. The conversion was really simple. I wanted to make it possible to easily switch between turretless and turreted as in the future I will undoubtedly want to use Stuarts with a turret and would rather not buy another 4 models. To this end, I decided to simply magnetize the machine gun and crew to the tank. I cut the bottom mount off of the machine gun and countersunk a small magnet into it. I drilled a hole in front of the turret ring and countersunk another magnet there. As this magnet is flush, the turret will rotate freely if I put it on. I used a smaller drill bit to drill pilot holes for each hole before using a bit the size of the magnet to create the final hole. I then cleaned up the crew and drilled another hole into the bottom of the crew and glued a magnet in. 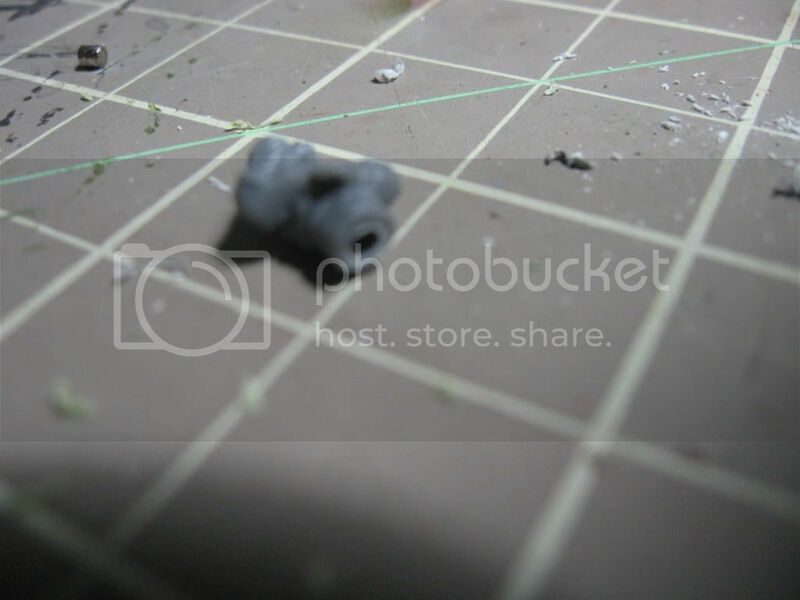 I countersunk another magnet into the back of the turret hole. I superglued all of the magnets in place and was careful to make sure the polarities were consistent. I used plastic guns and crew as they are easier to drill and the guns are a bit more durable. I glued some of the tarp stowage from the Open Fire boxes onto the engine deck to represent the tarps most turretless vehicles carried to protect the crew in inclement weather. Stuart V, note the flat engine deck. This conversion went quite quickly once I got started on it. The magnets are quick and allow the possibility to easily switch between turreted and turretless options. 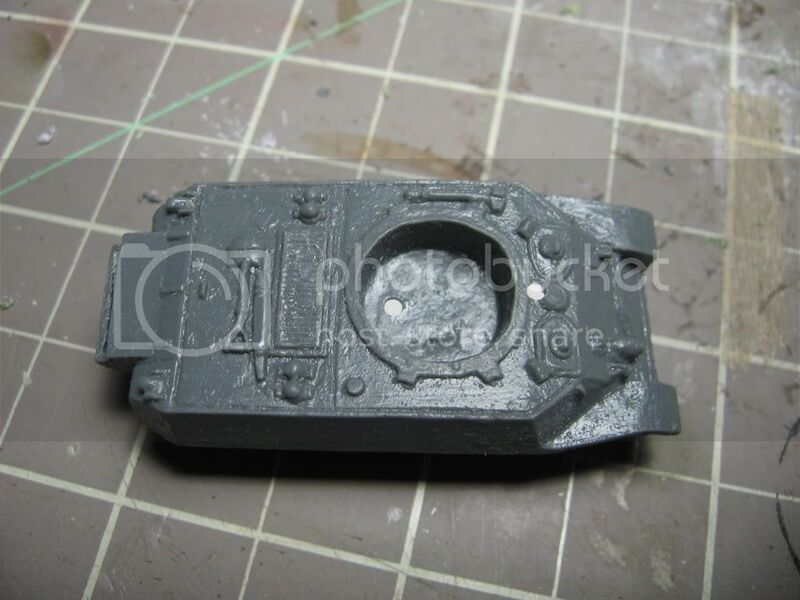 I will also magnetize the turrets so that I can use the .50 calibre machine guns on the turrets as well (save on painting! I should have done this with the crew as well). I didn't magnetize the turret itself as I didn't want too many magnets in the base of the turret. 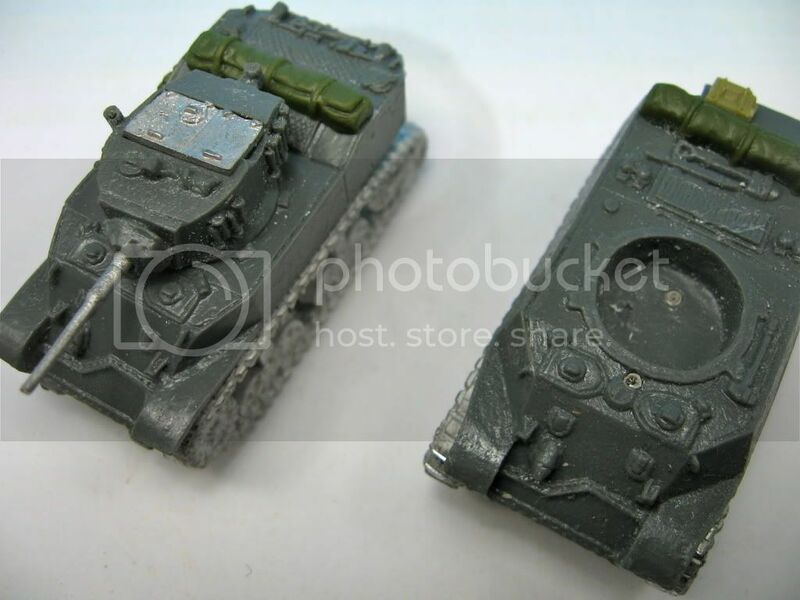 Hopefully this can help out others who are thinking about building some turretless Stuart jalopies. Special thanks to R Mark Davies, silversniper, and Pyrrhic Victory who helped me out with questions and posted pictures of their models. Thanks for visiting! These are great! - I thought the process would be a little more involved, but it really is simple! Oh, and did you know your blogspot 'profile' doesn't work? Easier than I was expecting too. I spent a lot of time thinking about how best to make them work both with and without turrets. I figure that the stuarts are expensive for recce but are much cheaper than Shermans for mobile machine guns for harassing infantry. I also have 3 universal carriers to use as more expendable recce.